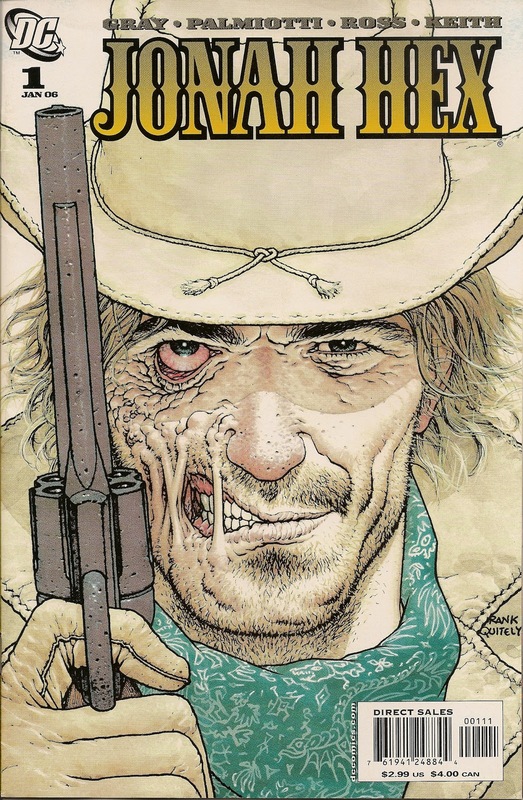 Me: Collecting comics since around 1966 and in all honesty I pick up a book because Jonah Hex is IN it, not what is on the cover. My tastes are going to lean more to what is extraordinary for a Western comic or just a comic in general. Eldest Son: Shoots and edits video for a living so has a sense of composition and balance. Is a comic book reader so has a feel for what makes a good comic book cover. Carl: Graphic designer. Looks at the books through a critical eye picking out what makes a good design. Also reads comics but hasn't read any Jonah Hex. Lovely Wife: Is aware of what a comic book IS. What she brings to the table is how a cover will impact someone just strolling through a comic book shop. Does this cover grab a non-reader into making a purchase? Also, Wife & Carl can't be swayed by a good story inside that might make me think a cover is better than it is. I took everyone's top ten, assigning 1 point to the lowest rank and ten points to the highest rank. I then compiled the totals and we ended up with a few ties. To break the ties I looked at which cover placed higher on Lovely Wife's ranking (because getting a new reader in is the best thing) and then I took into account Carl's ranking (because he's a professional graphic designer and should know good design). Tenth Place 9 points: #11 "The Hanging Tree"
Ninth Place 10 points: #70 "Weird Western"
Me: Very powerful, the sun 'burning' past the girl and the subtle hole in Hex's chest. This book screams that it wants to be opened and read. Eighth Place 11 Points: #39 "Cowardice"
Eldest: The coloring and layout on this one make it stand out. It's far more cinematic than any other cover (with even the credits being "above the line"). Me: The black bar titles that make the interior of this book so unique is brought to the cover. The poses are dynamic and it has a great use of black space. Seventh Place 11 Points: #62 "The Package"
Me: The black and white and evoking the tintype style pose is fantastic. On top of that, Hex seems so at peace amongst the circus freaks and that says so much about the character and makes me want to read the book. Sixth Place 13 points: #53 "You'll Never Dance Again"
Lovely Wife: What kind of trouble are these two going to get into? It makes me want to read the book. Eldest: As Megan Fox-tastic as this cover is, I love the art. Also, it feels like someone just chased this girl downstairs only to promptly realize that he's about get get effed up buy a guy with a look on his face that says, "I dare you." Fifth Place 13 points: #6 "Goin' Back to Texas in a Box"
Me: NUNS WITH GUNS!! Actually, this cover has great lines, the razor and Jonah's eye draws you across the page to see the white of the nun's hat. But much more than that, NUNS WITH GUNS!!! Fourth Place 14 points: #33 "The Hunting Trip"
Eldest: I love this one because it feels like a baddie glanced over and saw this view, then promptly crapped his pants. Also, if you don't like Darwyn Cooke I'm 87% you're a communist. BETTER DEAD THAN RED! Me: There are a dearth of winter westerns and this one fills the bill nicely. How deep is that snow? How long has Hex been there? Third Place 15 points: #25 "My Name is Nobody"
Eldest: This one just says "I am a badass and will destroy you" Also, that guy clearly wasn't dead a second before this cover was drawn. Carl: It has the perspective where the viewer is looking up at Jonah from beneath, very strong. Second Place 18 points: #50 "The Great Silence"
Lovely Wife: There is such an empty feeling presented through the muted tones. I want to know who is buried and why is there such emotion evident in Hex's body language. Me: A very very quiet cover for a very violent book. Knowing the character, this cover demanded that I buy it and read it first. First Place 25 points: #9 "Gettin' Un-Haunted"
Lovely Wife: The contrast between the black and white and the red is great. The movement draws your eye across the cover. This cover is full of 'whys', why is the little girl with him, why is he using a sword, why is he killing those men. Carl: I like issue 9 the best because for starters is 2 color and stands out, the illustration tells allot and shows movement, action and emotion. Eldest: Black and white covers with color splash can be done extremely well or just look silly. This is the former. The near perfect blood trail line draws your eye through the picture and even serves to direct you back to the DC logo and title. Thanks to Grand Comic Book Database for the cover links and thanks to me for figuring out that hot-linking is a bad thing. DUR!!! 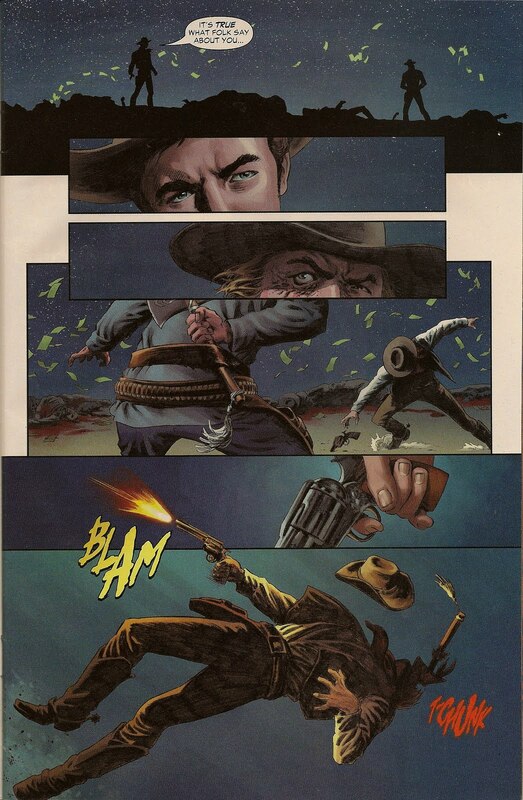 Jonah Hex V2 #1 - "Giving the Devil His Due"
"Giving the Devil His Due"
It was November in 2005 when this hit the stands. I had heard it was coming out. I didn't even DARE hope that it would be even half good. I slammed down my $2.99, walked next door to Subway, ordered a 6-inch Tuna (toasted, extra pickles and jalapenos), sat down and started reading. I didn't start eating until I had read through it twice. Twilight faded to starlight when the desert finally fell silent. Jonah Hex, whose violent hands shed the blood of the nefarious and whose ears still rang with the horrid yells and dying groans, cautiously eyed the last man standing. In full light of the moon, James Ronnie's face showed all the contortions of a coward who has lost the resolve to continue masking his fear. And yet, he still clung to hope... like a drowning man with a fistful of straw. The irony stood marked by the fact that it was James Ronnie's guns that aligned with Hex on the side of justice earlier that night. But as any man, woman, or child knows, he had no friends, this Jonah Hex...but he did have two companions...one was death itself...the other, the acrid smell of gunsmoke. Dear Lord in heaven! Now that is actual writing. That tells an entire story in one page and wants you know even more. Folks, THAT is a page-turner! So, let us gather up our bundles, hunker down together, and I shall relate the tale as best I know how. Amidst the above prose, (and interrupted by a title card "A Cemetery Without Crosses") we see a man standing in the darkness, currency falls from the sky all about him and the camera pulls up and we see him facing off against Jonah Hex. Surrounding them both, dead men and horses (nearly two dozen of the former, half a dozen of the latter) and four large flour totes of bills, buffeted about by the climbing winds. Ronnie shouts to Hex that they don't have to do this thing, nobody will ever know. Hex (dear Lord, is that CLINT EASTWOOD!?!?! ), snarls back that HE will know. Ronnie tries to reason, saying that at least he didn't kill the Apache squaw. Hex replies that death would have been a mercy. Ronnie, still grasping for some hope, stammers that they have been riding together for three weeks, they just took out the Tompkins gang, all of that should count for something. Hex tells him that it entitles him to a fair fight, more than Ronnie would get from the Apache. Ronnie lunges forward for a pistol on the ground, Hex, his holster empty, reaches behind his back for a tomahawk which gets planted squarely between the eyes of the late James Ronnie (T-Chunk). Two weeks later, we find Jonah riding onto a plantation and is 'greeted' by three women with firearms. Hex explains that he is there to see Joshua Foster about a missing boy. The women take Jonah in to see their father who is crippled and confined to a wheelchair. Foster explains that several weeks ago his ten year old son Jacob was kidnapped but there has been no ransom note and the local sheriff and the Pinkerton's have been unable to turn up anything at all. Foster offers three thousand dollars for the return of the boy. Hex takes the offer. An unknown time later we are witness to a small carnival that is showcasing young boys armed with knife-gloves fighting enraged pitbulls. We learn the carnival is the property of Victor Romanoff and that tomorrow night is their final appearance in town. In the audience is our very own Jonah Hex. The show ends and the townsfolk head home. Back in a tent, Romanoff berates the young fighter we just witnessed. He tells the kid that the fight should have gone longer. The youngster, a Hispanic, suggests that Romanoff fight them himself. Romanoff slaps the boy to the ground and is drawing back to strike him again when Jonah Hex steps into the tent and punches Romanoff to the ground. A man in the corner of the tent starts to draw a pistol when the carnival doctor intervenes, explaining who Hex is. Romanoff immediately apologizes for his conduct and Jonah explains his business. None of the boys speak up when Jonah quizzes them and Jonah asks the doctor what is wrong with on a cot. The doc states that he has a fever. Hex, with no answers to his questions, leaves, but not without the gunhand suggesting to Romanoff that Hex run into some trouble of the fatal variety. That night, two men with knives sneak up on a sleeping form near a dying campfire. They plunge knives into a straw dummy. Hex steps from the shadows and demands answers about the missing boy. 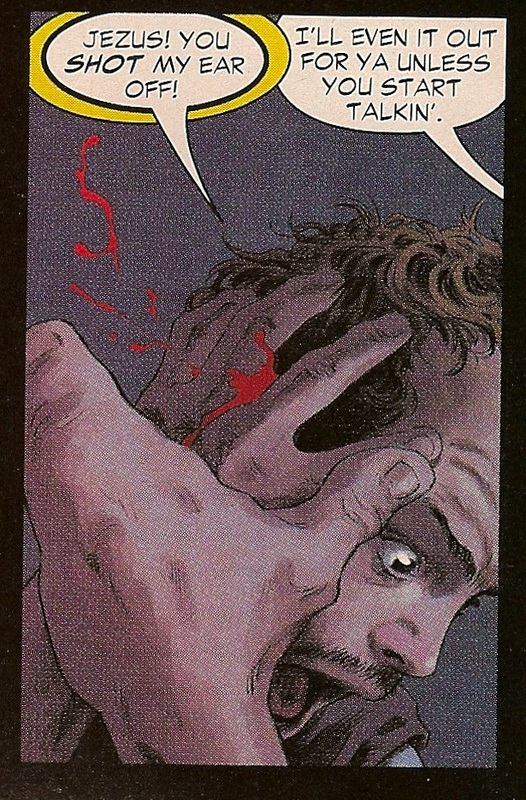 One of the men pleads ignorance and Hex shoots the man's ear off. Back at the carnival, the boy on the cot is frothing at the mouth and the doc and Romanoff are at odds. The doc says that he has looked the other way long enough and RomanoffRomanoff. Hex drags the carnival owner by the hair over to the cot and demands to know who it is. Romanoff confesses that it is Jacob and that they dyed his hair to hide his identity. Jonah then proceeds to kick the living tar out of the portly carnival man. Hex looks at the doc, states that he knows Jacob is rabid and asks how long the boy has. The doc says that he'll live a day at the most. Hex tells the doc to wait outside the tent. Jonah walks over to the cot, a pillow in his hand and, almost under his breath, says, "It seems God wanted ya to suffer through your last hours in this world, Jacob." He then places the pillow over the boys face until he is dead, and then gently closes the boys eyes, saying that he will tell Jacob's pa that he died like a man. We next see a naked Romanoff bound at the wrists and in the dog fight pit. Jonah stands above him holding a bucket of blood and guts. He throws it onto the fat naked man and says that the regular law can't do anything about the death of Jacob but this bucket of pig's blood will save Romanoff from being hanged by Hex. Jonah then pulls up two snarling German Shepherds and unleashes them on screaming man. The doc walks up and states that he has Jacob ready for the trip home. Hex says that the doc better be finding some nice homes for the boys that are left, or else and then explains that when the dog fights come around, the locals will normally beat and starve their own dogs so they have a chance in the ring. Hex says that these dogs would have killed the boys and as he sees it, what he had just done was fair. 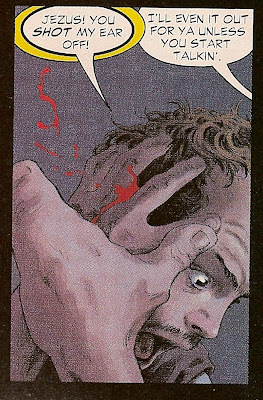 Until that day, Jonah Hex never questioned his feud with the Lord, but there is a certain crisis of the mind induced by the killing of an innocent child. It is what crystallizes the character. It will betray your hidden weaknesses, cut and polish your virtues, and reveal you in all your glory or your vileness. It had always seems his talent for killing was in direct opposition to the Lord's work. But now? Now he wasn't so sure. Timeline - I'm not even going here with this. These are 'done in one' for the most part. I may make a comment from time to time about how it fits within the Hex timeline, but I'm not keeping track on JH V2. Now, the story. 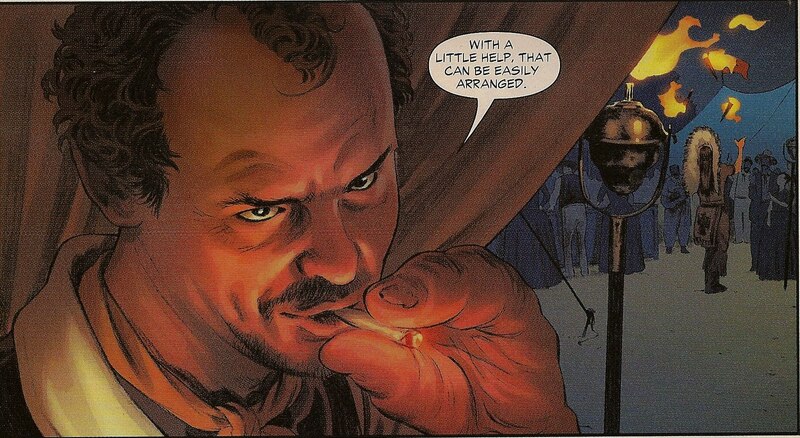 Of course the story was a retread from Jonah Hex #1 and at first I was angry that I got a rehash of a story. However, over the years, I have come to appreciate what Jimmy and Justin did here. They gave a us a new #1 for Jonah Hex. They retold that first story in the manner that Jonah would be treated under their pens. This Jonah is bloodier, more conflicted, and more well written than anything that had come before. On a re-read, it's interesting that the fighting tent made it, somewhat, into the Jonah Hex film. This book BECAME the western genre for me in the 2000's, it was the yardstick by which I measured every other western seen or read. 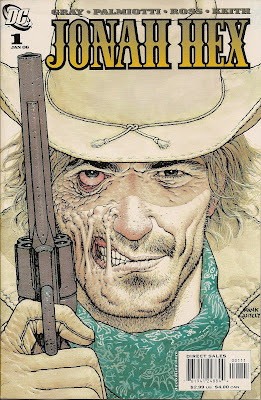 I'll be addressing the inner conflicts of Jonah later on in a separate essay, but needless to say, this was a bang-up job for a reintroduction for Jonah Hex. Next: A gold cross, a town full of dynamite, and then things go downhill from there. Gray Morrow! Now while I disliked Gray's work on Jonah Hex because it seemed so stiff and the use of zipatone made everything murky, here I really think he has created a great cover. Who would build a great civilization upon a huge crack in the world's surface? The Californians did ... setting up famous cities and myriad homes upon the line of the San Andreas fault ... the Earthquake Zone of North America! Someday, inevitably, this area must open up, must create another Atlantis, as the seas sweep in to swallow another mighty land. 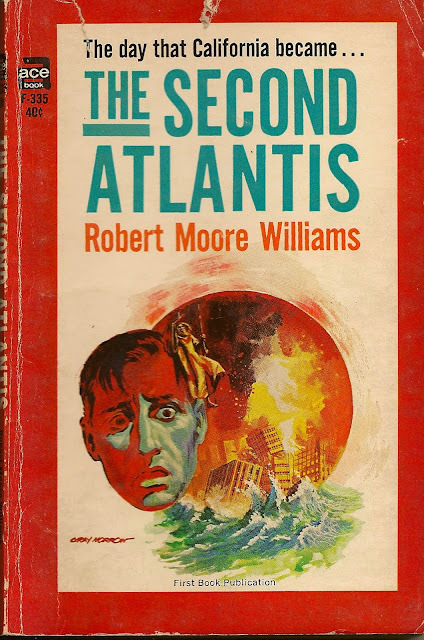 This is the story of how that might happen - the story of THE SECOND ATLANTIS. It is a novel of tomorrow, a prevision of what might come. It is a prophetic novel with an unforgettable impact. Ya, know what? I just can't do it. I just can't finish the Veritigo stuff right now. I need some happy happy in my life and next week I will be posting from Jonah Hex V2. I'm busy with cutting down two 40-ft elms in my backyard, I'm tired of weeks and weeks of 105+ heat (not just 100+, 105+, folks), and I am in no way, shape, nor form, able to read any more Vertigo.